If your vacation plans include Fishing in Key West, Florida then this blog is for you. Whether you want to take a fishing charter out for a day or participate in one of the Fishing Tournaments held in Key West we are here to hook you up with all the info. If you are planning on fishing during your visit to the island read all about this ongoing tournament. This is an 8 month competition open to the public and it’s family friendly. More than 40 species of fish are targeted during the multimonth tournament, with divisions for men, women, junior anglers (ages 10 to 15) and Pee Wees (under 10 years old). The Key West Fishing Tournament strongly encourages the release of game fish. All participating anglers receive certificates noting their catches and qualify for a variety of prizes. Key West and the Lower Keys. This is an annual all-release shallow water fishing tournament held the consecutive Friday and Saturday before Super Bowl Sunday. Shallow-water flats anglers and guides are invited to hook up and fight their barracuda rivals. The event is headquartered at Hurricane Hole Marina on Stock Island. Prizes are to be awarded to the top angler and guide in light-tackle, spin and fly divisions. Visit cudabowl.com or email info@cudabowl.com. This charity flats-and-fly-only tournament challenges anglers to catch, tag and release silvery permit to vie for elite titles. The event is held at the Key West Harbour Yacht Club on Stock Island. Visit marchmerkin.com. This four-day challenge is the “grand finale” of the four-leg Quest for the Crest Sailfish Series. Team prizes include trophies and $50,000 for first place and $18,000 and $10,000 to second- and third-place teams, respectively. Visit bluewatermovements.com/final_sail/. Key West. In this challenge, cash prizes are awarded to the male and female angler scoring the highest total combined weight of three dolphin catches. There is no limit on the number of participating boats. Call 305-296-0364 or email lee@murraymarine.com. Marathon. 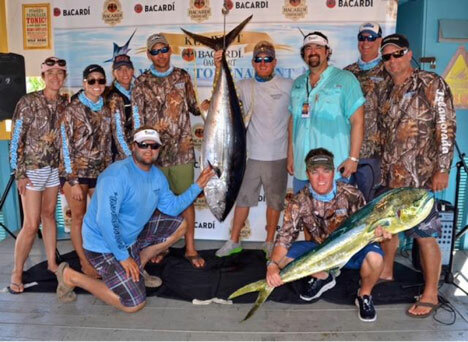 Teams in the pre-tournament for the Key West Marlin Tournament are to compete for marlin division trophies as well as fun fish awards for the three heaviest dolphin fish, wahoo and tuna (yellowfin, blackfin and skipjack). The top-scoring team in the pre-tournament is to be entitled to free entry into the following week’s Key West Marlin Tournament. Visit keywestmarlin.com or email tim.greene@keywestmarlin.com. Anglers fly-fish on the flats in a challenge that honors the late angling pioneer Del Brown, who caught and released more than 500 permit off the Keys. Professionals and guides are allowed to compete as well. Visit delbrownpermittournament.com or email lorenrea@icloud.com. Anglers ply the waters once fished by novelist Ernest Hemingway, vying for $50,000 in guaranteed cash prizes. Held in conjunction with Key West’s annual Hemingway Days festival, the event awards $25,000 to the first-place team. Teams can enter one fun fish (dolphin, tuna, wahoo or released sailfish) per day to add to their point total. Visit keywestmarlin.com or email tim.greene@keywestmarlin.com. Key West, Florida. In the first of three tournaments in the annual Redbone Celebrity Tournament Series, also called The Trilogy, anglers target tarpon, permit and bonefish to achieve the coveted “flats grand slam.” The event raises funds for the fight against cystic fibrosis. Visit redbone.org, call 305-664-2002 or email susan@redbone.org. Capt. Mel’s Sport Fishing Charters offers a personally guided fishing trips in the beautiful waters surrounding Key West. Capt. 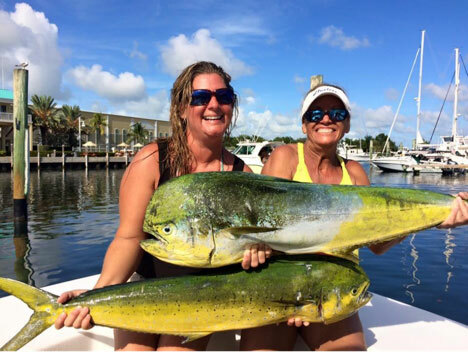 Mel will take you on a fishing adventure of a lifetime where you will enjoy the spectacular offshore and reef fishing in the calm waters and sandbars of the backcountry. About the Vessel - the 28’ custom-built Spencer, was designed and built by the Captain himself. It’s a versatile fishing vessel that will provide plenty of shade and comfort so you can concentrate on catching the big one. Types of Fishing: Offshore - fishing the Gulf Stream for Mahi & Tuna Reef - lots of action, great for kids and experts alike. Wreck Fishing - Snappers ‘n’ Groupers on the bottom, Tuna on top. Backcountry Fishing - #1 Rated Shark fishing, calm and beautiful.